This is one of the most unusual benefits ever, by one of the most unique music groups ever. 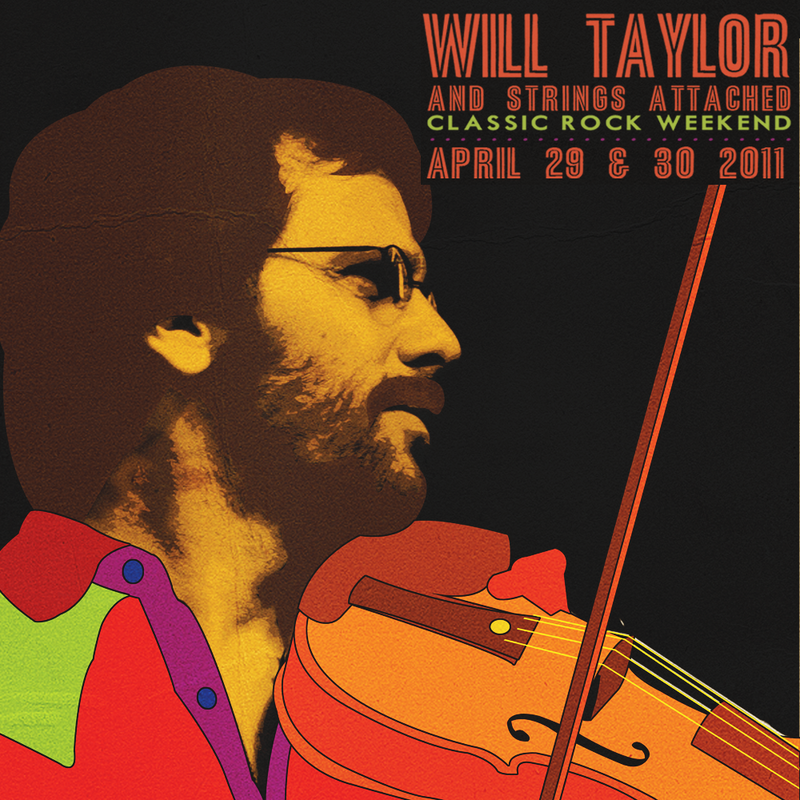 My friend Will Taylor and Strings Attached will burn BAD violins on Friday night, April 29 at Nutty Brown Cafe to bring awareness to National Child Abuse Prevention Month, and Kids In a New Groove. KING provides musical instruments and instruction for Texas children in foster care. Will is donating part of the profits from his Classic Rock Weekend concert series to KING, and promoting the donation of playable instruments to the non-profit program. Emphasis is placed on burning BAD (unplayable) violins in order to gain resources to purchase or prompt the donation of decent, playable instruments. After taking music lessons for 30+ years, and teaching music for 45+ years, I can attest to the importance of having an instrument that works and can stay in tune. Check out Will's Facebook page for LOTS more information. The healing power of music is well documented. Next to family, music is certainly the most important thing in my life. It has comforted me through death, illness, divorce, isolation, heartache, and is absolutely THE best high in the universe. I've been contemplating getting a tattoo for many years now. The only reason I don't already have one is because I could never settle on what I wanted. Why is that relevant to this post? Because my niece recently got a gorgeous one (from Tattoo Bob) that states in super delicate/elegant script "Music is the lamb that made a lion out of me." That prompted me just a scant two weeks ago to finally commit. As serendipity would have it, my choice is "Music heals," in the same script. So tonight I get this message from Will about Kids in a New Groove. See how that wacky chord resolves? Will has carved a truly dynamic niche in the overloaded Austin music scene. A classical and jazz violinist and violist, Will writes, performs, and records groovy string arrangements of various musical genres, in collaboration with local and nationally renowned musicians. He just completed House of Wills, featuring the music of Willie Nelson, in the style of Bob Wills. The Friday concert at Nutty Brown rocks the music of Led Zeppelin, and a Classic Rock Retrospective (think Beatles, Stones, Hendrix, and Stevie Wonder!) hits the Continental Club on Saturday, April 30. This is all happening as we speak. Will is a Master of Momentum. He picks up on an idea and builds creative flow through networking and social media that appeals to broad musical audiences while promoting good causes. In this case, within a very brief time frame! I met Will about 10 years ago at St. David's Episcopal Church here in Austin through David Stevens, tenor extraordinaire and St. David's Music Director. I was hanging out waiting for a rehearsal to begin, and Will was feverishly copying string parts for an early Strings Attached project. I could tell even back then that he was headed for greatness. Sure 'nuff! So it is my pleasure to get this project in front of all my friends, especially those of you who 1) want to hear some very cool music, 2) would get off on watching a pile of violins burn, 3) are Zeppelin fans, 4) can donate playable music instruments to Kids in a New Groove, 5) can volunteer music instruction for KING. Kids In a New Groove is going to hear from me very soon...and I'm calling Tattoo Bob tomorrow. Of course, I'm still facing the dilemma of WHERE to place it. I think this one needs to be in a visible location. Any suggestions, y'all? I may even bust out of my hermit shell to go watch those violins burn! Elderblogger relentlessly searching for the truth, enough tech info to keep her rig running, a hot singing group, and morsels of humor along the way. Currently flowing through life as a university info manager/writer/editor by day (quite rudely interrupted), elderblogger and classical musician til way past bedtime. Funky interests: natural childbirth, breeding Aussies, cats, organic gardening, travel, photography, reading, writing, and especially hanging with my daughter, family, & friends.